If you are unhappy with your nose proportions, size, or appearance and are seeking nose surgery, (technically called Rhinoplasty), we can offer non-surgical solutions to modify the appearance of your nose with dermal fillers! Because of the amazing results the Rejuvent doctors achieve for their patients using dermal fillers, Rhinoplasty surgery is no longer offered at Rejuvent. Dr. Bomer and Dr. Bouzoukis have shifted the focus of their practice to non-surgical nose solutions. Because they performed nose surgeries for so many years, both doctors are experts in how to best address, and best sculpt the nose. The information in this page is provided as an educational tool. If during your appointment Dr. Bomer or Dr. Bouzoukis recommend surgery, they will refer you to a nose surgeon. Receive a complimentary consultation at Rejuvent and learn more about non-surgical options to nose surgery. Rejuvent is located in Scottsdale, Arizona and conveniently located near Paradise Valley, Tempe, Mesa and other areas of Greater Phoenix. Rhinoplasty is a surgical procedure to correct or address nasal structure and function. Nose surgery can enhance cosmetically the harmony and proportions of your facial features. Internally, it can improve breathing of the nose by correcting a deviated septum or reducing the size of enlarged turbinates. If a patient desire both cosmetic and functional improvements to the nose, it is best to perform it all during one surgery. Thorough pre-operative analysis of the patient’s nasal anatomy and its relationship to the face enables a precise surgical plan. Before my Nose Surgery at Rejuvent, all I could see was the large hump on my nose. I did not like that and wanted to change it ever since my late teens. I researched doctors in Scottsdale and after I saw all the amazing before and after photos of surgeries performed by D. Bomer I knew she was the doctor for me. I love my new nose, and now when I look at myself I see my entire face and not just my nose. Dr. Bomer is fantastic and I am very happy with my results! 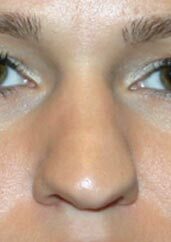 When the nose has a defect or is not proportional, it usually becomes the focus of the face and distracting to other facial features. If the nose is not functioning properly, that affects the ability to breathe causing discomfort. 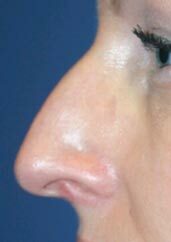 From a function point of view, patients suffering from breathing difficulties because of deviations or defects in nasal structures are great candidates for Rhinoplasty. From an aesthetic point of view, patients unhappy with the shape, size, proportions, or overall appearance is a great candidate for nose surgery. 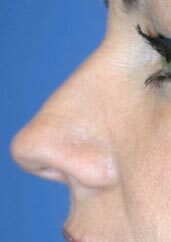 How Can Rhinoplasty Improve the Nose? 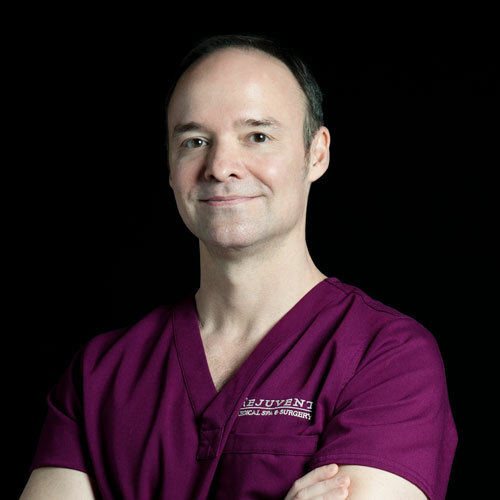 Visit Rejuvent for a complimentary consultation and find out how Dr. Bomer and Dr. Bouzoukis can help you achieve the nose transformation you desire. 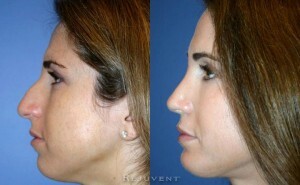 These before and after photos were taken when Dr. Bomer offered Rhinoplasty surgery at Rejuvent, Scottsdale. Rhinoplasty is an outpatient procedure; patients go home shortly after surgery. At Rejuvent, most rhinoplasties are performed under general anesthesia if only minor tip work or rasping down of a small hump is required IV sedation is an option. Incisions: Incisions are made inside the nostrils. Often a small incision is also made on the columella (base of nose). The soft tissue (skin, subcutaneous tissue, and muscle) is elevated off the underlying cartilage and bone framework of the nose. Bone and cartilage are removed or reshaped. Cartilage grafts obtained from the septum are carved and placed to improve the appearance of the nose and give longevity to the result. Long lasting but absorbable sutures are placed to refine the shape of the cartilages and secure grafts. Absorbable sutures are placed inside the nostrils. Fine, non-absorbable sutures are placed on the columella incision and are removed 7 days post-op. Cast & Nose Packing: A cast is placed over the nose and is removed 7 days after surgery. Packing is placed in the nostrils and removed the following morning. Pain is not severe, but the packs cause pressure while in overnight and prevent breathing through the nose, which leads to a dry mouth. What to Expect After Surgery: Following surgery, the nasal bones and cartilages are healing and it is important to avoid trauma to your nose for 6 weeks. Even the pressure from glasses resting on your nasal bones may cause the bones to shift if worn immediately post-op. Swelling to the nose and bruising under the eyes are normal. Bruising is resolved within 2-3 weeks. 75% of the swelling is improved by 4 weeks, but it can take up to 6 months for 100% of the swelling to resolve and for the bones and cartilage to settle into their final positions. Most people resume normal social functions by 2 weeks after surgery with no obvious signs of surgery. Non-Surgical Rhinoplasty is performed in Scottsdale, AZ. Dr. Bomer specializes in Blepharoplasty. 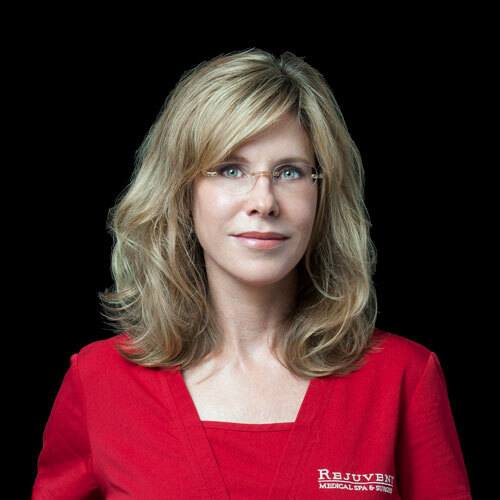 She is one of the premier facial plastic surgeons in Scottsdale and Phoenix area. She is a full face rejuvenation expert and combines her extensive training, expert facial anatomy knowledge, analytical eye, and state-of-the-art technology to provide her patients with personalized care and natural results. What is the shape of your nose? can help you achieve the nose you desire! Read about nose shapes and types of Rhinoplasty procedures to address those shapes, click below. Fill out a request for a complimentary Non-Surgical Rhinoplasty consultation below, or call (480) 889-8880. We will be happy to answer any questions you may have while considering nose enhancement. The Rejuvent Medical Spa and Surgery facility, with Dr. Bomer and Dr. Bouzoukis, welcome patients from Arizona, all over the United States, and internationally. The office is located in Scottsdale, close to Phoenix and Paradise Valley, Arizona. To watch Doctor Bomer and Doctor Bouzoukis in action visit Rejuvent’s YouTube video channel. I would love to help you achieve your rejuvenation goals. I have been committed to the anti-aging battle for over 20 years and look forward to meeting with you.